The South Asia Buddhist Association (SABA) is a charitable organisation under the auspices of Thaye Dorje, His Holiness the 17th Gyalwa Karmapa, who is the patron and guide. SABA is an umbrella body that organises many different charitable projects and activities, focusing on strengthening the monastic sangha, education and empowering young people – all through cultivating non-material values (Inner Wealth). Thaye Dorje, His Holiness the 17th Gyalwa Karmapa, has spiritual responsibility for a large number of monasteries in India and around the world. 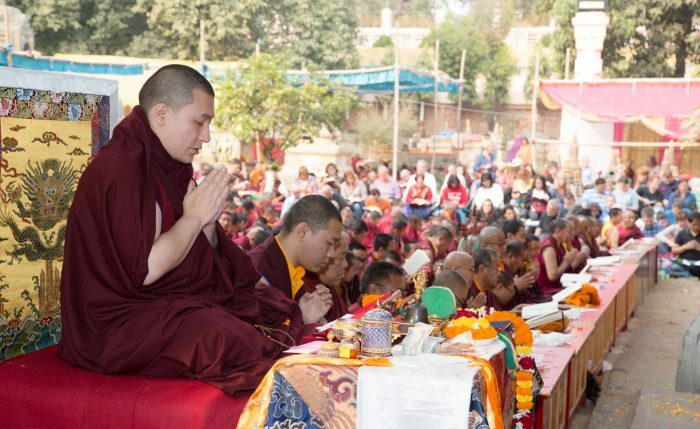 When His Holiness the 16th Karmapa spread the Karma Kagyu teachings beyond Tibet, one of his express wishes was that, just as in Tibet and in India before that, monasteries were established to provide a special environment for those who wished to devote their lives to the study, practice, and preservation of the Buddha’s teachings. Karmapa actively continues the 16th Karmapa’s commitment to supporting and growing the monastic sangha worldwide. SABA is the main vehicle for providing this support in South Asia. In Kalimpong, West Bengal, SABA is building the Karma Shedrup Ling Monastery, which will provide the possibility for a large number of monks to learn and pass on the traditional Karma Kagyu teachings. The monastic sangha is crucial to help ensure the Buddha-dharma’s benefit for all sentient beings. Without it, I would say that it would be very, very difficult for the Buddha-dharma to flourish. Bringing Karmapa’s focus on education and non-material values to life are two important SABA projects: the Karmapa Center of Education and The Tilopa Institute. 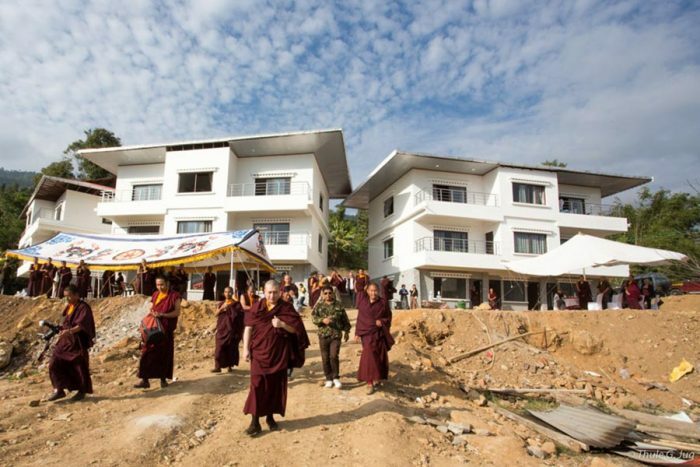 Over the next years, four branches of the Karmapa Center of Education (KCE) will be established in Kalimpong, near to the Diwakar Buddhist Academy, and a new monastery (Karma Shedrup Ling) which is presently also under construction. The first branch houses the primary education for both boys and girls from the age of 6-12. This branch will open in Kalimpong in October 2017 with the first class of students. KCE will provide the national Indian curriculum to educate local children, as well as those from Bhutan, Nepal, Sikkim and beyond. This national curriculum will be combined with alternative Western pedagogical methods. In addition, students study traditional Buddhist Dharma, and learn what it means to be a part of the sangha. There will be a branch for boys in secondary education (grade 7-12). There will be a branch for girls in secondary education (grade 7-12). At 18, all students can choose whether they wish to become ordained. Giving students this freedom of choice is one of the many areas that sets apart Karmapa’s distinct approach to education. A Village of Arts will become the fourth KCE branch. Not only for KCE students, the Village of Arts will invite artisans, artists, craftsmen and scientists from all centres around the world. The Village of Arts will be a community with an institute in its centre, where the entire Karma Kagyu heritage will be preserved and taught. A few hundred miles away in northern India, the Tilopa Buddhist Institute, named after the Mahasiddha Tilopa, is a monastic institute in the Himalayan foothills, where the children and young adults study the traditional Karma Kagyu philosophy and rituals. After leaving the Institute, students can choose to continue their training in a Shedra (Buddhist University) or monastery. The biggest event in the Karma Kagyu Buddhist calendar is the annual Kagyu Monlam, a great gathering of teachers and students from all around the world at the most auspicious place of Bodh Gaya in India, where the historical Buddha reached enlightenment more than 2,500 years ago. Led by Karmapa, the participants perform traditional spiritual practices such as aspiration prayers for the benefit of all. The Kagyu Monlam Committee has organised this event since 1996, and since 2016 the Committee has been part of the SABA trust. For more information about SABA, please see the new website: http://sabassociation.org.